Zayn Malik, former One Direction member, made a huge stir in the headlines in recent months as he has facilitated his leave from the boy band to pursue a solo career. With his departure from One Direction came the release of his first single, 'Pillowtalk,' that was a virtual instant hit. Released on January 28, the official YouTube video for the song has already surpassed 219 million views. Many YouTube stars started cranking out covers - there are too many versions to count when you do a simple search on YouTube - but only a few of them have passed into the realm of millions of views. 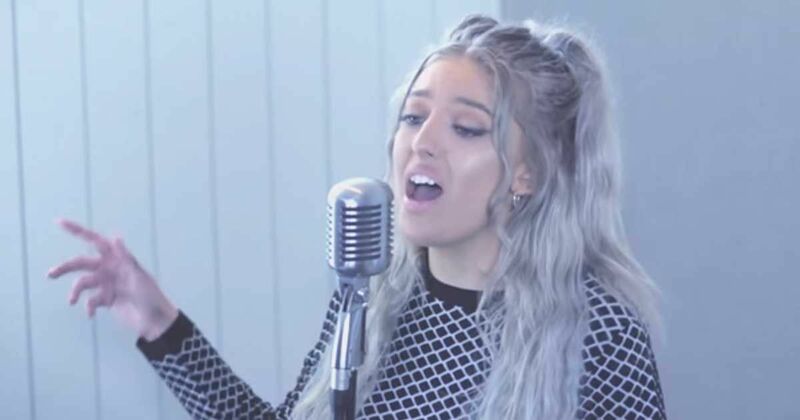 Sofia Karlberg is one of the vocalists behind such a cover, and she's the only female to do so. In just three weeks, her version has gained over 2.3 million views. If you're unfamiliar with the track, it's worth noting that Zayn Malik has an extraordinarily broad vocal range and can easily sing in falsetto and also power through high notes in his chest voice like it's nothing -- as his debut single, 'Pillowtalk' does everything possible to showcase this. He leaves hard shoes to fill, especially for many of the men who have tried and found that it's not quite so easy to sound well-trained and confident when attempting to hit notes over an octave above Middle C. For a strong, female alto, however, the range of the track is perfect to show off power and style. Karlberg's sultry voice has a low, robust quality to it, making her a fantastically suited singer for this track. Where many men's voices would falter, Karlberg instead gets to show off her excellent belting voice, and she certainly doesn't lack for power. The deep, smooth roundness of her tones plays up the edginess of the lyrics, preserving the raw and electric energy of the track and its story as they were intended to be. A softer, more delicate female soprano would almost undoubtedly strip the song of its fiery intensity. Many other covers of 'Pillowtalk' miss the mark on raw intensity, and therefore miss the mark on what made the track so alluring in the first place. Thankfully, Karlberg has just the voice to do it justice. Do you agree? Let us know what you thought of Karlberg's cover in the comments below and be sure to share if you loved her rendition!